It happened to me a countless number of times. I had just finished to set up my FEA model and run the analysis and I knew more or less what range of stresses I wanted to find. 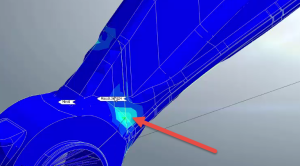 BUT…As you know there is always a factor between le results you expect and what you actually get… that’s normal in FEA. …but why was the error so big??? I was looking at the maximum Von Mises Stress and I realized the average values inside the model were more or less OK, but I was just getting a small red point that was changing everything. And I found I was not alone to have such a problem… in fact, this problem was very common. 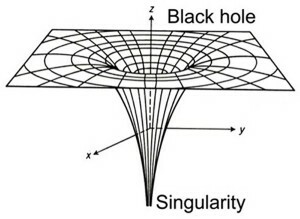 Do you know what is a singularity? You see the image below? 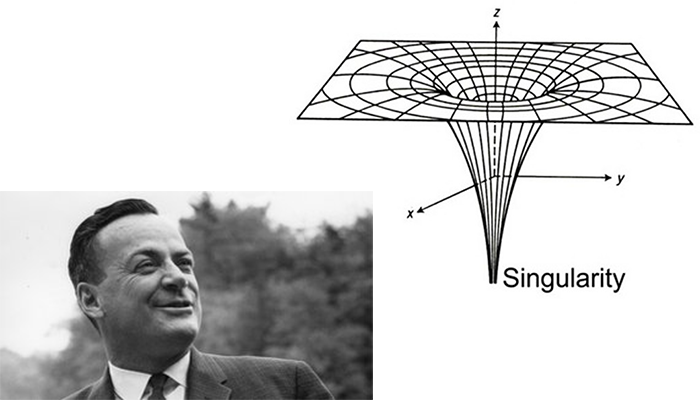 Well…a singularity is basically the same… but inside your FE model! Now I knew what it was…a singularity… but I still knew nothing. So I decided to learn more about singularities and by what they were caused. But, maybe before I explain that, you are wondering why singularities are such a pain in your model?? Why is a single singularity in your model such a pain? – They cause an accuracy problem inside your model near the singularity. – They cause a problem of visualization of your results by extending the range of the color inside your legend. Those 2 problems are very painful…and that’s why I was wondering what ultimately causes singularities. At first, I searched the answer on the Internet, but I couldn’t find it. Finally, I had to ask someone more expert than me about this topic to understand finally what was the major cause of singularities. And it was …boundary conditions! I didn’t want to believe it at first, but when I modified a bit the boundary conditions of my model, I discovered that the singularity vanished immediately. I understood that there are a lot of ways to tackle singularity problems and also to set up boundary conditions so you will never get singularities…but that really took a lot of time to understand and a lot of efforts. Maybe I’ll do some short course about it to explain all that in real details to you. That will save you a lot of time for sure. Ok, it’s already late here… I’ll write more in a next article.